Overseas Enclave is an exclusive project of residential plots available in various sizes in Bahria Town, Rawalpindi and is a masterpiece of Modern Township and urban designing, setting exemplary standards and featuring top of the line modern amenities and luxuries. Overseas Enclave provides ambiance and facilities of international standards and with construction of unique features like largest man made lake in Pakistan, Eden Lake is truly feast for eyes to watch. This exclusive enclave will offer you a living beyond experience. This is more than a community – it is a complete way of living! 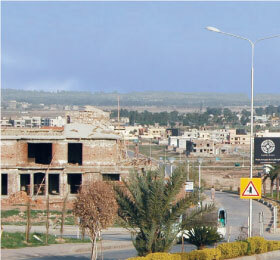 The exclusively running 120’ wide Expressway connects Overseas Enclave to GT Road Rawalpindi along with ‘Defence Villas’ (a project of DHA Islamabad) adjacent to Overseas Enclave. A strategically located bridge connects DHA Phase 1 with Overseas Enclave. Also an MOU with Middlesex University UK has been signed for their upcoming Pakistan campus in University City next to Overseas Enclave. Thousands of residents in adjoining Bahria Town lifestyle communities of ‘Bahria Homes’ and ‘Safari Valley’ are already enjoying the world class infrastructure and amenities. © All rights reserved. Overseas Enclave.